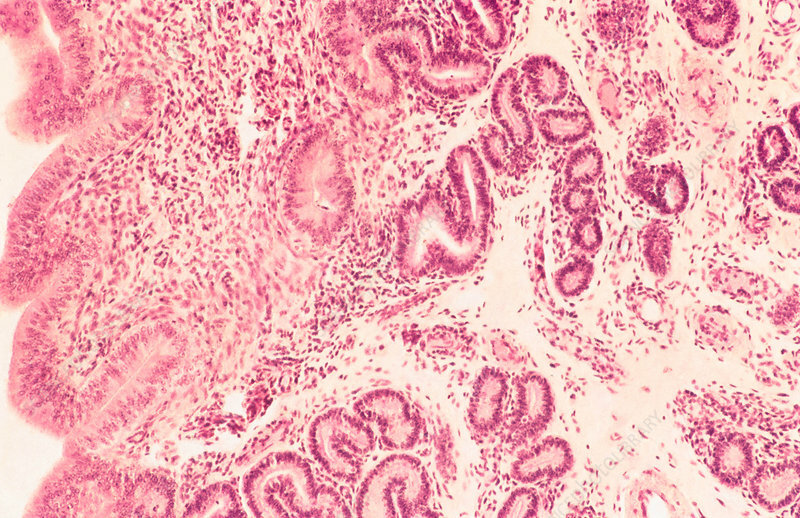 Endometrial epithelium of the uterus seen microscopically from a thin histological section. Normal epithelial cells on the surface and inactive glandular elements underneath. H&E stain and 10x magnification.